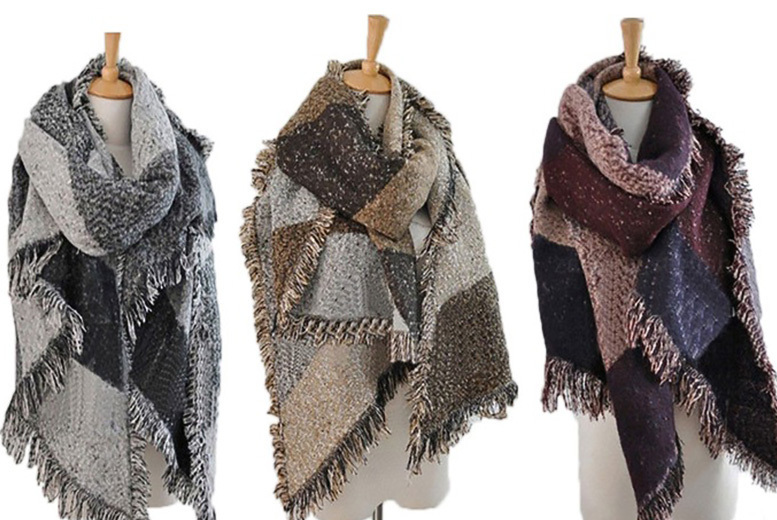 Get a trendy blanket scarf! Oversized for a laid-back look. In three different colours: black, camel, navy, pink and wine red! Wear as a scarf, shawl or wrap. Super soft to keep you cosy. Stay snug and stylish this autumn!